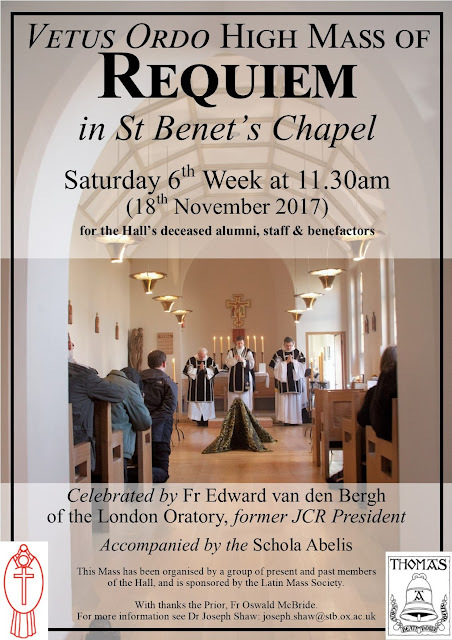 A High Mass of Requiem will be celebrated in the chapel of St Benet's Hall, Oxford, on Saturday 18th November at 11:30am. 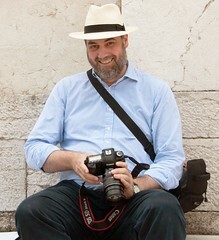 St Benet's is at 38 St Giles, Oxford OX1 3LN. Another Sung Requiem on Saturday 18th November at 11am in English Martyrs Church in Preston. This Mass is organised by the Military & Hospitaller Order of St Lazarus of Jerusalem. The church is that of the FSSP. I think you mean the PFSP. Either way, a magnifcent church!